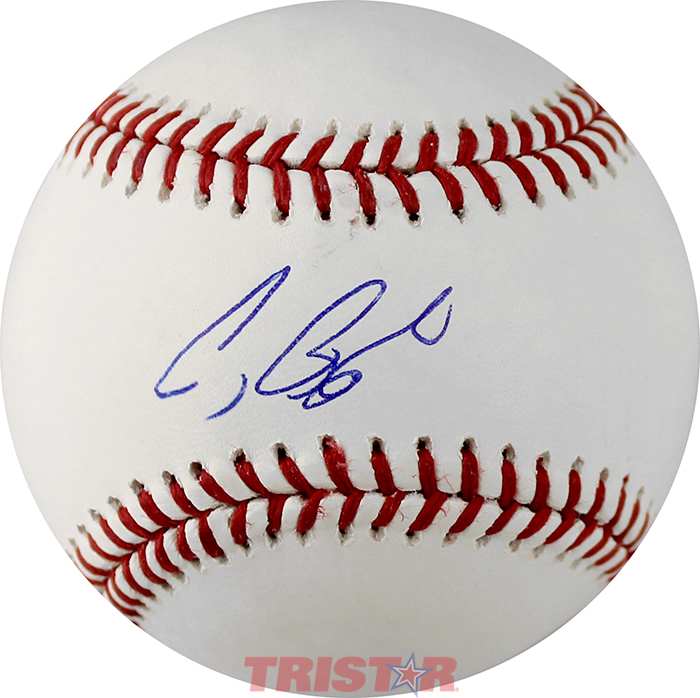 Craig Biggio personally hand signed these Rawlings official Major League Baseballs. Each hand signed baseball includes an individually numbered, tamper-evident hologram from TRISTAR guaranteeing its authenticity, which can be verified at tristarauthentic.com. Craig Biggio played his entire 20-year career with the Houston Astros and was drafted in the first round of the 1987 draft as a catcher. He won his first of five Silver Slugger awards in 1989, and was selected to his first All-Star game in 1991. The Astros moved Biggio to second base before the start of the 1992 season. Biggio was named an All-Star again, making him the only player in history to be an All-Star at both catcher and second base. On June 28, 2007, he became the 27th player in history to join the 3,000 hit club. The 7-time All-Star collected a total of 3,060 hits, 1,175 RBI and 414 stolen bases. In 2008, the Houston Astros retired his jersey #7. In 2013, Biggio's first year of eligibility on the writers' ballot for the Baseball Hall of Fame, he led all Hall of Fame vote-getters, falling just 39 votes shy of election.